Full day and half day camps for all ages in Tampa Bay! Arts, sports, STEAM, musical theatre, test prep and so much more! Day Camp - traditional summer camp activities with a weekly theme, field trips, art lessons, games and a giant water slide! (age 4 - grade 6.) Half day camp is 4 hours. If you are looking for Summer Professional Development for teachers, click here. We offer a wide variety of camps, to see a full list of our summer camp programs click here (linking to the google document) or to see some of our highlighted camps scroll below. We will be going to Mars in 25 years according to NASA. That puts our students at the right age to lead these exciting journeys, so let’s get a head start on Training! This hands-on program designed with NASA explores all atmosphere, solar system and space phenomena as well the forces of flight, living in space and the challenges of space travel. Children will build their own Skyblazer rocket and experience a real rocket launch. Do you love princesses or knights? Then come explore Fairy Tales and castles. We will read different fairy tales, make different related projects, build castles, and have a dress up day! Become a marine biologist for a week, and explore the amazing waters of the Bay Area. Discover the sea creatures that inhabit our estuaries using nets to catch them and observe them. Study the importance of clean water for us and marine animals. Learn about the importance of conservation, and put together a real marine animal skeleton. Join Pathfinder Outdoor Education for a week of fun and exploration. Camp will be held at Shorecrest, and buses will pick up and drop off campers on field trip days. Pathfinder, an accredited non-profit organization located in St. Petersburg, has been leading outdoor and environmental education programs for students across Florida since 1993. Have you seen the murals around the city? Want to become a mural artist? Ever had thoughts of what your mural would look like? Test it out this week. Create a masterpiece like the famous mural artists do. Come with your creativity! Adventure camp will include a wide variety of great St. Petersburg area destinations. Campers will play laser tag, and swim at North Shore pool. Skill stations, 3-on-3 games, 5-on-5 games and lots of different basketball contests. Each camper will receive a T-shirt and basketball. Lunch is provided. Minecraft is hugely popular because it is collaborative, open-ended and moddable. Our program preserves those qualities and adds a large does of fun! The week begins with learning the game, controls, recipes and a bit about hosting and networking. Next campers are connecting to different worlds hosted on our secure server and experimenting with character skins, mods and custom maps. By day three the kids are building in the Active Learning World that grows over time. Whether adding a room, building a moat or even creating a chessboard, the possibilities are nearly limitless. Q. 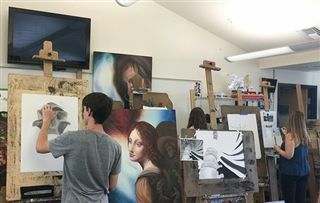 Are Summer Programs Open to the Community? Yes, we welcome all children to attend any of our camps during the summer, regardless of whether they attend Shorecrest for school. Q. How do I view a description and dates for each camp offered? View our online camp catalogue. Q. What are the camp fees? There is a one time, $10 registration fee per child per summer charged at the time of enrollment. Specific camp prices vary and can be seen in our online catalogue. Q. What does my child eat at camp? Daily snack is provided to all campers in the morning and afternoon. Campers may bring lunch and a water bottle from home each day. Q. How do camps communicate with parents? Email is the primary source of communication during the summer. Please insure that your email address is up to date at time of registration, and that you check your email account while camp is in session. Q. How is medical insurance taken care of at camp? All parents/guardians are responsible for the camper's medical insurance and medical bills. Q. What happens with camp during bad weather? In the event of typical summer rain/lightning storms – all outdoor camps will be moved indoors. In the event of hurricanes or tropical storms that close our campus, you will be notified of camp closure via email and text. No refunds or make-up days are provided due to natural disasters. Q. What is the Shorecrest Summer Program Refund Policy? (1) A child’s enrollment is canceled two weeks prior to the camp start date. For example; if camp begins Monday, June 6th notification must be received prior to Monday, May 23rd. (2) A camp is canceled due to minimum enrollment not being met. *Camps/classes are not prorated based on child’s attendance. Work in a team to build and program a LEGO Mindstorms EV3 robot. 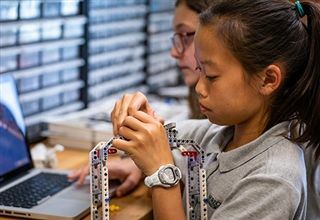 During this camp you will build a LEGO robot from scratch, learn how to program it to travel around a field, follow a line, and pick up objects. Get a taste of what it is like to be a member of a FIRST LEGO League team. Advanced campers will have the opportunity for more advanced building and programming. We’ll get around! Hillsborough River Park to canoe, Aqua Park to bounce, Weedon Island to kayak, Egmont Key to explore, and Buccaneer Bay to play. This camp is an outlet for creative kids who love Broadway shows and have a passion for writing. Over the course of a week, every child is given an opportunity within their team to help write, choreograph, and produce a one-act show. It’s an immersive experience studying Broadway shows and learning from Broadway guest experts. Students will explore games, puzzles, and challenges that involve logic, reasoning, and problem-solving. June 3 - 7, 9am - 4pm, showcase presentation on Friday at 3pm. Now in its 16th year, Pro Theatre Prep is a fun, intensive, multi-discipline Theatre training program taught by local professionals and guest instructors from Broadway, Hollywood and London's West End. Program Directors Cheryl Lee and Bill Leavengood vary the curriculum from year to year, but always focus on elements of acting, singing, dancing and improvisation for the stage or film. See a video sneak peek of this camp above. Open enrollment is offered for high school students. Middle School students, ages 11-13, who have not participated in a Shorecrest Middle School musical production, are required to audition to be accepted into the program.